When one thinks of consumer electronics products, one country generally comes to mind: Japan. 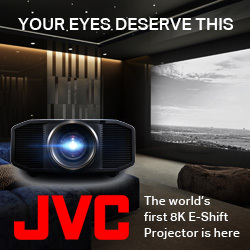 Home to industry giants such as Sony, Pioneer, Panasonic and Sharp, chances are you have several A/V devices from a Japanese manufacturer somewhere in your home. While most Canadian A/V manufacturers can’t compete on a quantity level with their Japanese counterparts, our country is home to several companies who regularly turn out products near or at the top of their class in terms of quality, workmanship and reliability. 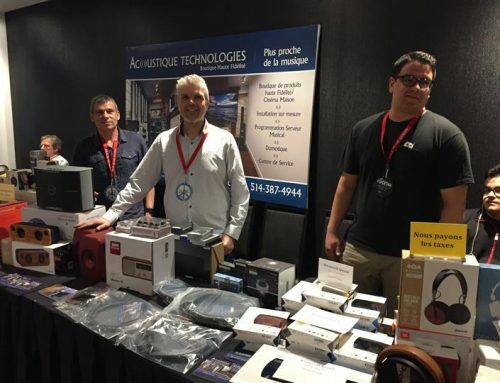 Whether it’s an amp from Bryston or a set of speakers from Athena Technologies, Canadian made gear occupies many spots in the racks and homes of A/V enthusiasts around the world. Unfortunately, due to the smaller size of some of these companies, the average consumer might not have heard of them. 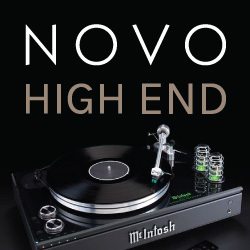 To remedy this, we present to you CANADA HiFi’s first ever “Made in Canada” spotlight. Leading off in the component category is heavy hitter Bryston. Located in Peterborough, ON, Bryston has been manufacturing handcrafted audio gear for over 25 years. Best known for their exquisite amplifiers, Bryston has offerings ranging from the simple 2×100 watt 2B-SST (MSRP $2650) right up to the monstrous 28B SST (MSRP $8000), which measures over 8 inches tall and is capable of cranking out over 1000 watts of power. Bryston also manufactures D/A converters, CD players, crossovers, and other assorted processors, including pre-amplifiers and phono amplifiers. All Bryston products are manufactured exclusively by hand, and their reputation for build quality and durability is second to none. Bryston is so confident in their product that they offer a 20-year parts and labour warranty on their analogue audio circuits. 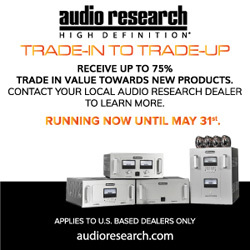 Simaudio is another company best known for their amplifiers, having turned out such classics over the years as the PW 3000, an affordable integrated amp (a power amplifier with an onboard preamp) that performed considerably above its modest price tag and was feted by the Canadian press at the time. In business since 1980 and based just outside of Montreal, Simaudio’s current flagship line is the Moon Evolution Series, with the CP-8 pre/pro and the MC-8 power amplifier leading the charge. The CP-8 is an ultra-high end pre/pro capable of processing and passing along up to 7.1 discrete channels of audio to the MC-8, which can drive a 2 ohm load with a staggering 1000 watts of power. Not content with satisfying only audiophiles with deep pockets, Simaudio also makes a range of amplifiers to suit almost any budget. 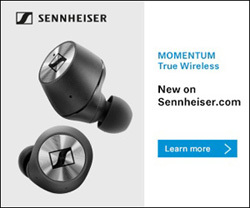 The very affordable Moon i-1 delivers audiophile quality sound at a suggested retail of only $1499. Also in business since 1980 is Classé Audio, another Quebec-based company specializing in power amplifiers, pre/pros and integrated amps. 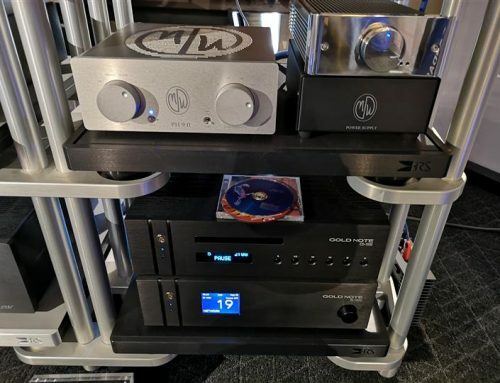 With offerings available ranging from the CA-M400 an 800 watt (2 Ohm) monoaural power amp (MSRP $5500) right through to the 2×100 watt integrated CAP-2100, Classé has a product to meet your needs. Be warned though, this level of quality doesn’t come cheap. The CAP-2100 will set you back $5500. 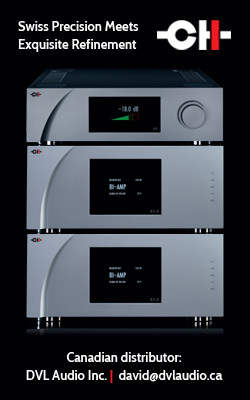 In addition to their renowned amplifiers and pre/pros, Classé also manufactures a series of CD and DVD players and a series of surround sound processors. Speaker giant B&W has been involved with Classé since 2001, lending them the necessary clout to take their brand to the next level globally. So far we’ve touched on several companies that manufacture fantastic amplifiers, but a signal chain requires more than just power. 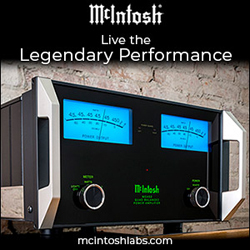 While Anthem does offer several power amps, their most well known products are their AVM line of preamp/processors. 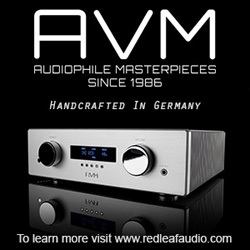 The AVM 20 was honoured with several prestigious awards when it was released, including Audio Revolution’s “Best of 2002”, Home Theatre and Sound’s “Product of the Year” for 2002 and the 2002 “Reviewers Choice” award from the Sound and Vision magazine. The AVM 20 was one of the most desirable pre/pros thanks to its audiophile grade Burr-Brown operational amplifiers, an “analogue direct” mode which bypasses the D/A and A/D converters and DSP for the purest sound possible, and dedicated broadcast-quality video circuitry on totally independent circuit boards that are isolated from the audio stage. While the AVM 20 is no longer manufactured, Anthem has improved upon its success with the AVM 30 (MSRP $3399). For the videophiles among us, Anthem also offers the AVM 50(MSRP $5499), which offers all the same features as the AVM 30 plus a host of video processing options and four HDMI inputs for transmission of your favourite high resolution audio formats. Magnum Dynalab entered the A/V world in 1984 with precisely one offering: the Signal Sleuth, an FM radio signal booster and stabilizer whose current counterpart is the MD 205 (MSRP $450). The following year the Brampton-based company expanded their product line to include standalone FM tuners offering a level of clarity, detail and signal strength far surpassing those of the tuners included with standard receivers. In the following years Magnum Dynalab began producing high-end FM antennas, a logical step to ensure that their tuner customers were receiving the best signal possible. Over the years Magnum Dynalab has also brought to market integrated amplifiers and, more recently, XM Radio satellite tuners. The MD609T (MSRP $4695) satellite tuner offers tube technology, high-end Burr-Brown digital/analogue converters and an analogue audio stage that results in a signal to noise ratio of greater than 110 dB. Nestled in the beautiful Muskoka district of Ontario, Axiom Audio has been churning out A/V gear since 1980. 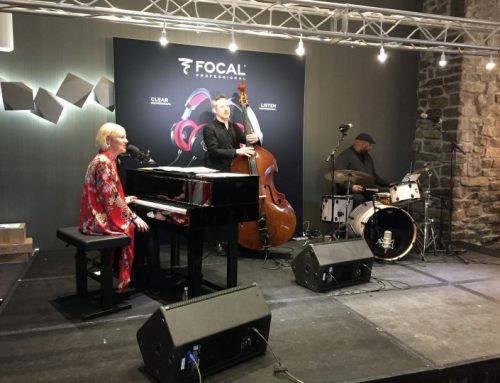 Axiom’s founder Ian Colquhon spent several years doing research and developing innovations in loudspeaker design at the National Research Council in Ottawa, and has applied these theories to Axiom’s products. One hallmark of the Axiom line is an outstanding price/quality relationship. Axiom has a home theatre system priced for just about any budget, from the bookshelf-based 5.1 Epic Midi 125 (MSRP $1311) right up to the 7.1 Epic 80 600 (MSRP $4308), a hulking system based around two six-way floorstanding speakers, four quad-pole surrounds and a towering EP 600 subwoofer that features a 12 inch driver in an enclosure almost 4 feet high that’s capable of handling 600 watts of power! Axiom also sells their speakers individually, with a full range of bookshelf, floorstanding, surround, centre and subwoofers available. Unlike any other speaker manufacturer known to us, Axiom offers virtually endless custom finishes of all its speakers. Every speaker can be ordered in one of six real-wood veneers, six stain options, three gloss finishes, three accessory metals and six grille colours. For those who prefer synthetic finishes, Axiom also offers any combination of sixteen vinyl finishes and six grille colours. Now that’s what I call customization! 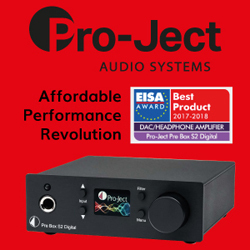 More recently, Axiom introduced a powerful, high performance eight channel digital amplifier – its’ review can be found on novo.press/. 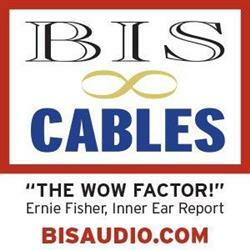 Some companies operate on the quantity over quality theory, churning out products from all ends of the A/V spectrum. Montreal’s Totem Acoustic is not one of those companies. 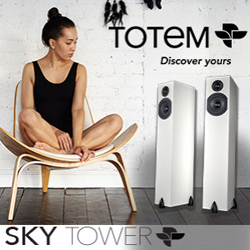 In business since 1986, Totem manufactures only loudspeakers. 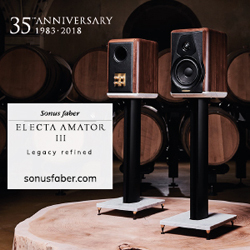 In fact, from 1986 until 1992 they manufactured only one model of loudspeaker, the Model 1, upon which today’s Model 1 Signature (MSRP $2595) is based. 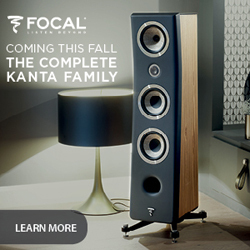 Now with an expanded line featuring several bookshelf and floorstanding speakers, subwoofers and centre channels as well as several new in-wall and the Tribe series (MSRP $875 for the Tribe 1) of on-wall speakers, perfect complements for a flat-panel TV, Totem has something to meet the needs of all discerning A/V enthusiasts. 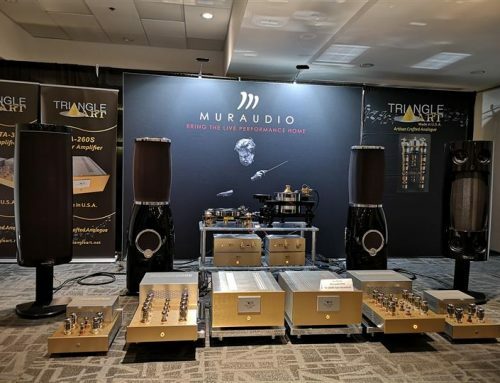 Much of the gear mentioned thus far is audiophile grade equipment, which usually means several large boxes doing the job that occasionally one small box can do. This is fantastic for the hard-core consumer, who has a dedicated listening room, but what to do for the more casual enthusiast, who wants to upgrade from a garden variety Home Theatre in a Box but doesn’t want their living room to be over-run by speakers and cabling? 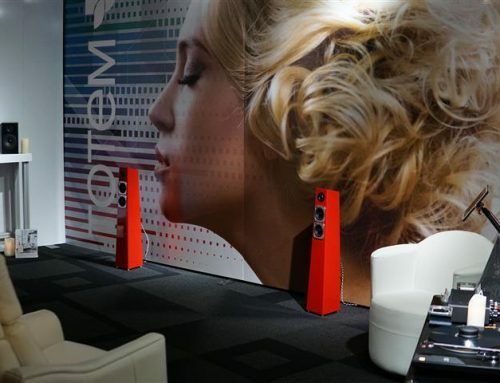 Enter Paradigm, sister company to Anthem, who have created the Cinema line of satellite speakers and subwoofer. Similar in dimensions to most budget HTIB speakers, the Cinema 70 series speakers (MSRP $70 each) offer realistic, detailed sound in an ultra compact package. When run as both fronts and surrounds and mated with a Cinema CC centre channel (MSRP $129) and a PDR 8 sub (MSRP $279), you’d be hard pressed to find a compact system packing as much punch or sonic clarity. In addition to these compact systems, Paradigm offers several lines of full size speakers designed for the home theatre and two channel music systems, from the modest priced Monitor series all the way up to the Reference Signature series. Lastly what would a home theatre be without cabling to connect your components and furniture to rest them on? 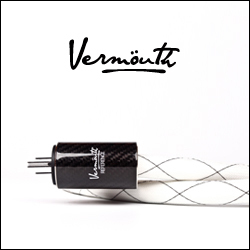 GutWire is a Toronto-based company which makes speaker cable, such as the Basic Square speaker cable (MSRP $719 for an 8 ft. pair), RCA interconnects, digital cabling, accessories, power cables, such as the Basic Clef Square (MSRP $349 for 5.5 ft.) and AC line conditioners. GutWire’s entire design philosophy is based around cold-welding (crimping, not soldering) a cable’s connections to the cable itself. 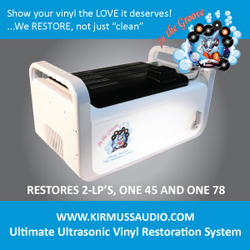 They believe that this results in maximum dynamics and a more well-defined soundstage. All GutWire cables are assembled and tested by hand, and are all individually tested to ensure they meet GutWire’s stringent standards for quality and musicality. CAN-AM has been making modular, versatile metal cabinets since 1979. Of particular interest to us are their expandable A/V cabinets. These cabinets are wide enough to accommodate two components side by side, and have notches every 1.5 inches for CAN-AM’s stationary or pullout shelves, perfect for accessing wiring at the rear of your audio or video gear. This results in an almost infinite number of combinations, and an attractive and sensible shelving system for any enthusiast, regardless of their current or future needs. All cabinets feature a large pass-through on the back for interconnects and power cables, and their metal construction actually absorbs heat, pulling it away from your valuable components and ensuring their stay within their ideal operating temperature. As you can see, Canada is home to a myriad of A/V companies, both small and large. Chances are you might have already been familiar with one of the companies mentioned in this article without knowing they were Canadian. This just goes to prove that no matter what the scale, Canadians can be found at the forefront of technological development in multiple areas. Whether it’s something as large scale as IMAX or something as tiny as a cold-soldered RCA cable, Canada and Canadians are making A/V technology around the world move forward and that makes us very proud!